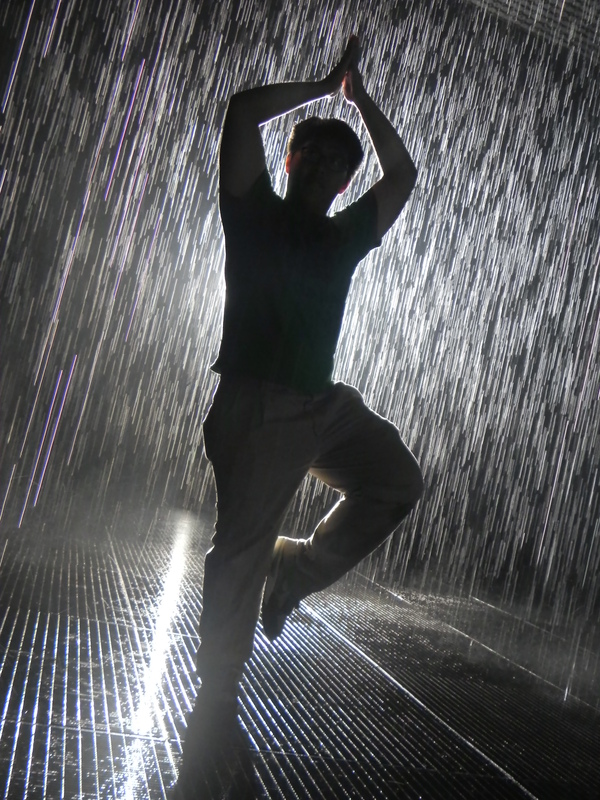 We had the greatest pleasure of going to MOMA’S Rain Room. If you have not heard of it, we urge you to visit and experience this yourself. 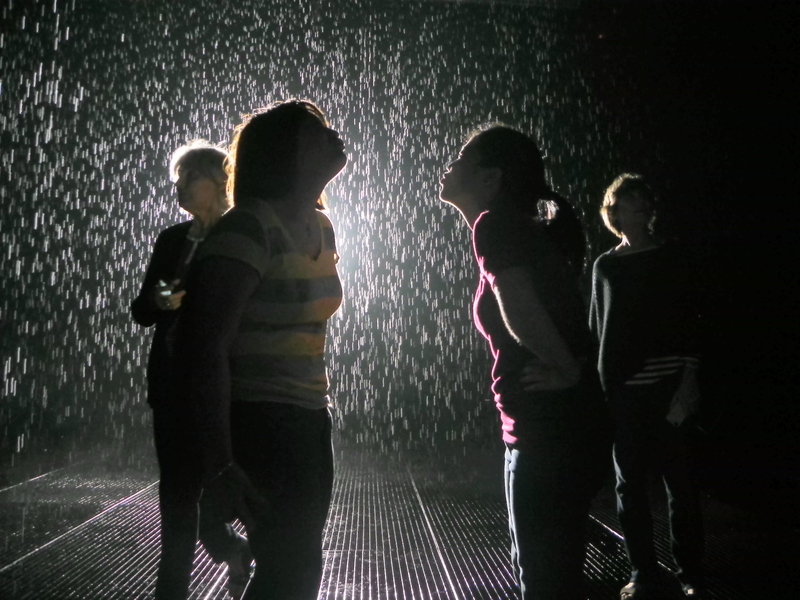 Although there is a 3-4 hour wait, this special exhibition is a room that showers artificial rain, but wherever you stand it does not rain on you! Even when we went before the Museum’s opening hours, there was already approximately 50 people on the line. 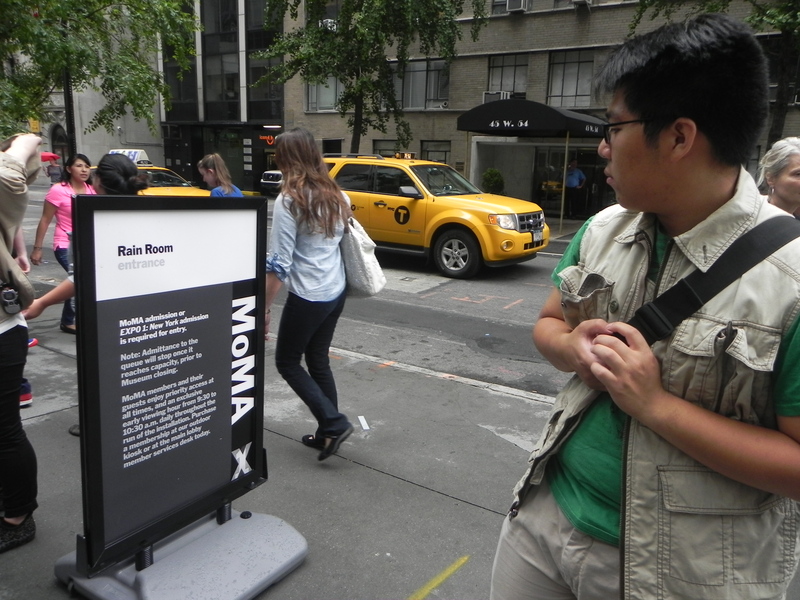 Get your ticket for general admission for MOMA then head straight out the opposite doors and turn left to stand on line! 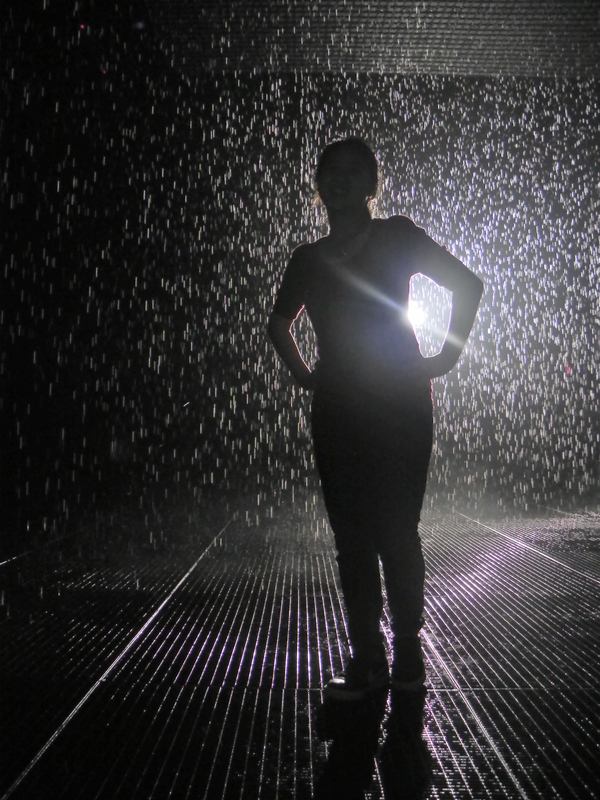 The Rain Room does not require extra money although after standing in line for so long, you will get really tired and not particularly want to walk around the entire museum. Note: FREE FOR CUNY AND SUNY college students! Don’t pay the $14 fee! Go to help desk and just show your student ID. worth the wait! I thought on a Monday morning, no one would wake up before 10am, much less be standing on line already. 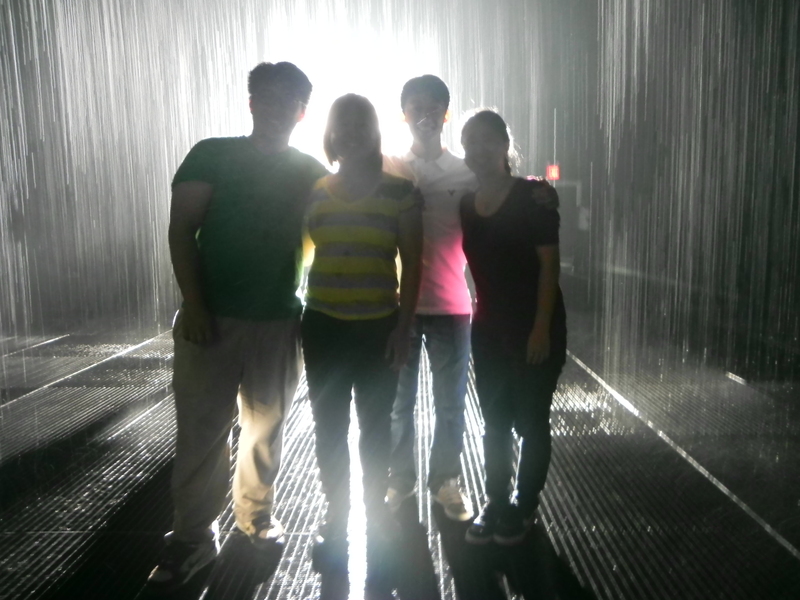 Victor and I along with another couple were standing outside in the rain waiting for entrance to the rain room. Ironic, I know! 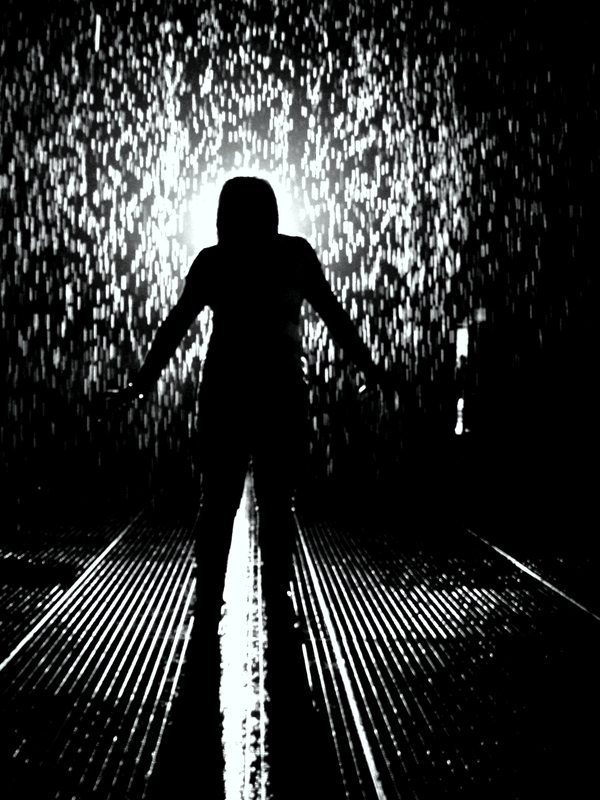 Advice for you, do not go when it’s a rainy day! Each time 3-4 people are let in — HOWEVER there is still a line inside the room.. 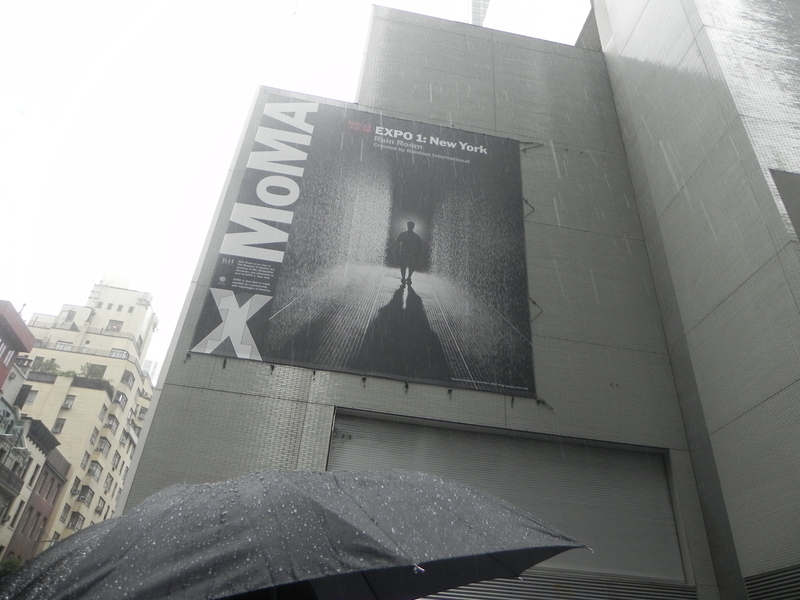 I was very wrong…Apparently there is a special hour dedicated for MOMA members only from 9:30am-10:30am, so basically the line doesn’t start moving until 10:30am..You also only get 10 minutes to be in the rain. Don’t be disrespectful and stay for like half an hour! Everyone outside is waiting! I was walking really quickly trying to test out the sensors, although they’re not that perfect it was funny to get splashed a bit. Don’t wear black or dark clothing to this place or it won’t work well. Also, no high heels ladies ! The heel might get stuck on the floor and damage the room. …Longer than waiting for a roller coaster at Six Flags! I’m not going to lie, that was a really long wait…. and in the rain. 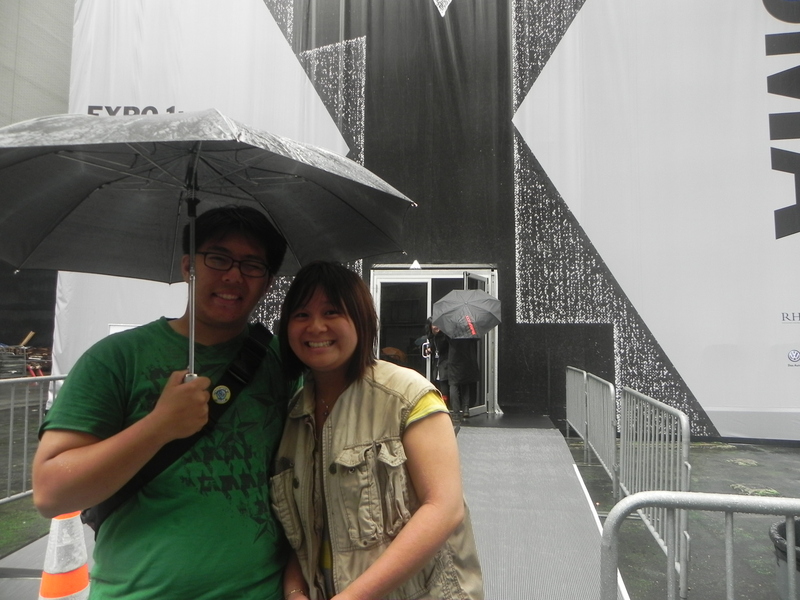 Can you believe we waited 3 hours IN THE RAIN to go to an indoor exhibit to see rain?!?!?! I couldn’t believe it too, hahaha. But I actually enjoyed it though. If you do plan on going, be prepared to wait. If you can wake up early, try to go there early. We got there before the MoMA even opened (opens at 10:30AM) and still had to wait about 3 hours until we got into the expo. It’s a really cool exhibit if it wasn’t for that wait. 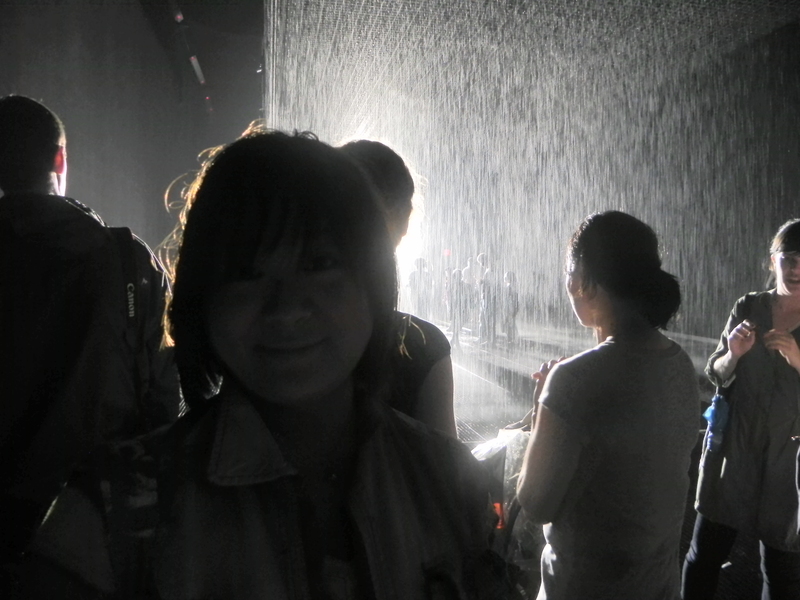 In the center of this large exhibit is this square-ish area that constantly rains. These sensors can detect where the human body is on the grid and it will stop raining. 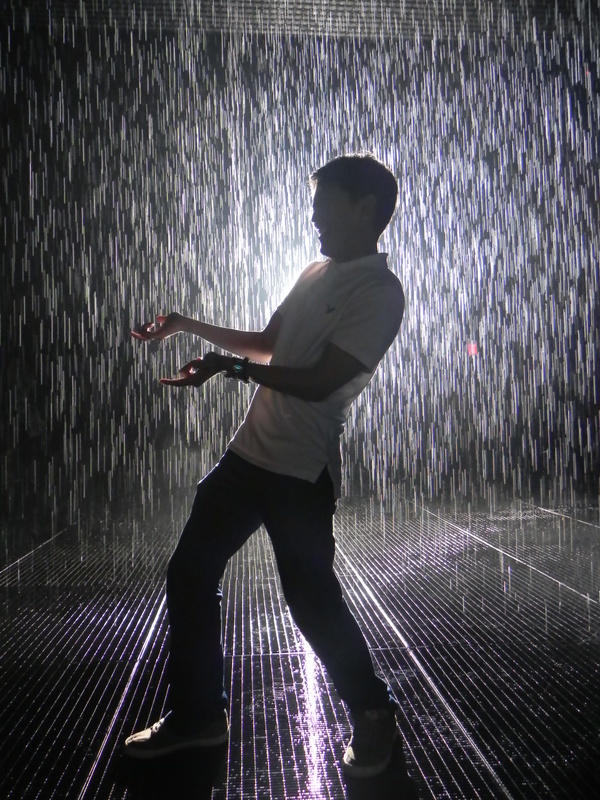 However, you have to walk slowly through this exhibit or you will get wet. It’s almost like controlling nature, as if you had super powers or something. Too bad you can’t do that in real life. It’s interesting how you can use technology to create “art”. Definitely check this place out if you have the time! 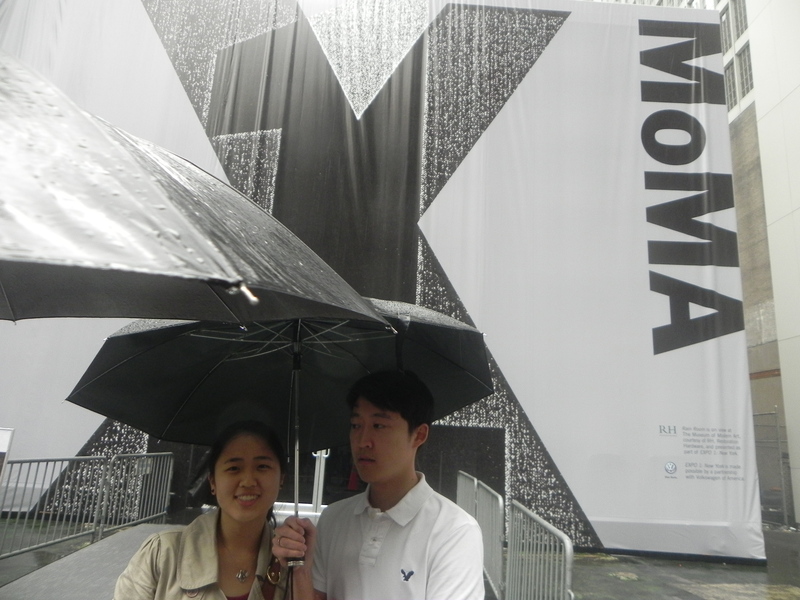 Posted on June 12, 2013 June 13, 2013 by pinkytwinkieeePosted in manhattan, New YorkTagged bliss, city, cool, date, exhibit, exhibition, gallery, hang out, interactive, moma, museum, museum of modern art, new, New York, popular, rain, rain room, things to do, tourist.